Healthcare: Thursday House floor vote on HB 604, establishing a commission to assess benefits and costs of a “health care for all” program for New Hampshire. Committee recommends OTP/A by a vote of 12-7. Gender Justice: Thursday House floor vote on HB 608, expanding the law against discrimination based on gender identity to other areas of the law prohibiting discrimination. This bill would extend protection for transgender persons throughout the discrimination portion of all statutes. The committee recommends OTP/A by a vote of 16-4. Climate & Energy: Senate floor vote Thursday on SB 76, which would prohibit offshore oil and natural gas exploration. Thursday House floor vote on HB 496, establishing a committee to identify the requirements needed to commit New Hampshire to a goal of 50 percent renewable energy for electricity by 2040. Education funding: Thursday House floor votes on SB 280 (increase per pupil spending but allow school boards to contract with religious schools), SB 265 (maintaining stabilization grants at the 2018 funding level, rather than decreasing by 4% each year), SB 309 (provide stabilization grants based on a percentage of a municipality’s FY 2012 stabilization grant. A municipality’s 2019 grant would be 88 percent of the 2012 grant, and 100 percent in 2020 and each following year). Death Penalty: Thursday House floor vote on HB 455, relative to the penalty for capital murder. 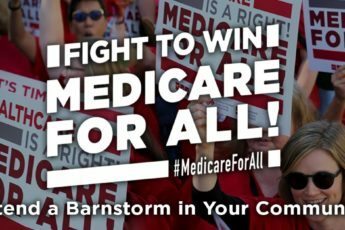 There’s still time to contact your representatives and urge them to vote for the repeal! Healthcare: HB 604, establishing a commission to assess benefits and costs of a “health care for all” program for New Hampshire. Committee recommends OTP/A by a vote of 12-7. Death Penalty: HB 455, relative to the penalty for capital murder. Committee recommends OTP by a vote of 11-6. There’s still time to contact your representatives and urge them to vote for the repeal. CACR 6, relative to elections. Providing that any inhabitant who so desires may vote by absentee ballot in primary and general elections. This would amend the NH Constitution to add “no excuses” absentee voting. Committee recommends OTP by a vote of 12-7. HB 105, relative to domicile residency, voter registration, and investigation of voter letters. This bill would undo the changes made to voter law in 2017 bySB 3, which is still being litigated in court. Committee recommends OTP, by a vote of 12-8. 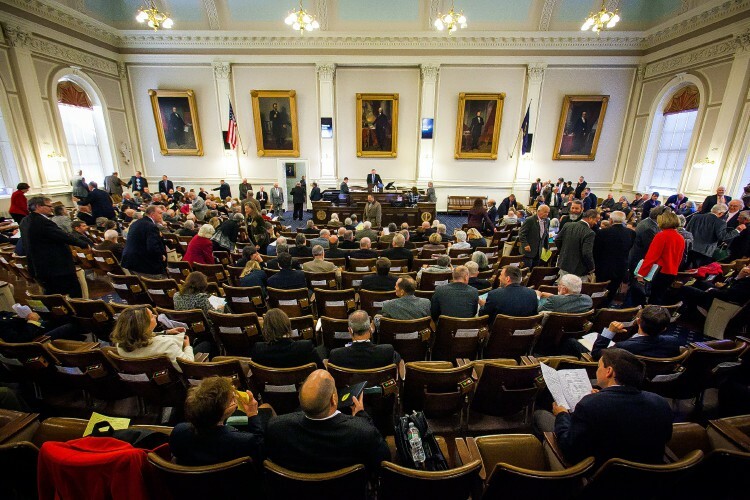 HB 106, relative to the terms “resident,” “inhabitant,” “residence,” and “residency.” This bill restores language removed from the law in 2018 by HB 1264, and removes the language tying car registration and drivers’ license fees to voting in NH elections. Committee recommends OTP by a vote of 12-8. The ACLU NH has filed a lawsuit on behalf of students affected by that legislation. Read more here. HB 611, allowing voters to vote by absentee ballot. This would allow “no excuses” absentee voting. The committee recommends OTP by a vote of 12-8. Gender Justice: HB 608, expanding the law against discrimination based on gender identity to other areas of the law prohibiting discrimination. This bill would extend protection for transgender persons throughout the discrimination portion of all statutes. The committee recommends OTP/A by a vote of 16-4. Workers’ Rights: HB 622, prohibiting collective bargaining agreements that require employees to join or contribute to a labor union. This year’s right-to-work-for-less bill comes out of committee with a recommendation of ITL, by a vote of 12-6. HB 496, establishing a committee to identify the requirements needed to commit New Hampshire to a goal of 50 percent renewable energy for electricity by 2040. This bill, as amended, only deals with renewables, and leaves out nuclear energy, which is a sticking point for the minority. The majority states that it is a planning tool for the future. The committee recommends OTP/A by a vote of 12-8. Climate & Energy: HJR 1, supporting efforts to develop wind power off the New Hampshire coast. The committee recommends OTP by a vote of 12-8. SB 280, relative to the cost of an adequate education. This bill would increase per pupil spending and allow school boards to contract with religious schools. Committee recommends ITL by a vote of 4-1. SB 265, relative to maintaining stabilization grants at the current level. Provides that beginning in 2020, stabilization grants shall remain at the 2018 funding level, rather than decreasing by 4 percent each year. Committee recommends OTP/A by a vote of 5-0. SB 309, relative to stabilization grants for education. This bill would provide stabilization grants based on a percentage of a municipality’s FY 2012 stabilization grant. A municipality’s 2019 grant would be 88 percent of the 2012 grant, and 100 percent in 2020 and each following year. Environmental Protections: SB 76, relative to the prohibition of offshore oil and natural gas exploration. This bill would prohibit both. 10:30 AM HB 686, relative to calculating and funding the interim cost of an opportunity for an adequate education and extending the interest and dividends tax to capital gains. 11:00 AM HB 709, relative to the formula for determining funding for an adequate education. 11:30 AM HB 177, relative to the calculation of stabilization grants. 10:00 Subcommittee work session on HB 446, relative to initiating amendments and corrections to birth records. This provides a procedure for an individual to obtain a new birth certificate based on a change of gender identity. The bill will go to an executive session at 1:00 PM. 11:00 AM HB 558, restricting the distribution of plastic straws. This bill prohibits food service businesses from providing a single use plastic straw to a customer unless specifically requested. 11:30 AM HB 560, relative to single use carryout bags. This bill restricts the distribution of single-use carryout bags by stores and food service businesses. 1:00 PM Division work session on HB 712, relative to a family and medical leave insurance program. 10:00 AM Subcommittee work session on HB 690, removing the work requirement of the New Hampshire Granite Advantage Health Care Program. This would remove the work and community engagement (aka work for no money) requirement for the NH version of expanded Medicaid. HB 692, relative to dental care for Medicaid recipients. This would require the Medicaid managed care program to provide dental benefits to those they cover. 10:00 AM Executive session on HB 724, relative to certain rights of employees; HB 293, relative to employee credit privacy; HB 406, relative to reporting and investigation of serious injuries and death in the workplace; SB 1, relative to family and medical leave; HB 178, establishing a minimum wage;HB 731, relative to the minimum hourly rate, HB 186, establishing a stateminimum wage and providing for adjustments to the minimum wage. 10:00 AM HB 102, relative to municipal ordinances regarding the use of plastics. This would allow towns to adopt bylaws to regulate the distribution of single use plastics. 10:30 HB 559, enabling municipalities to ban single-use sources of plastic pollution. This would enable municipalities to prohibit the distribution, sale, and purchase of products that contribute to plastic pollution. 10:00 AM Executive session on HCR 7, urging the president and Congress to adopt a policy renouncing the first use of nuclear weapons; HJR 2, recommending and requesting the President of the United States and the United States Congress to exclude the state of New Hampshire from offshore oil and gas drilling and exploration activities. 10:00 AM HB 669, relative to gender identity information on drivers’ licenses and nondrivers’ identification cards. This bill allows applicants for licenses and nondriver ID cards to indicate their gender as male, female, or other and requires that indication to be placed on any identification cards issued by the DMV. 2:00 PM SB 317, prohibiting sanctuary jurisdictions in New Hampshire. This is a reconvening of the hearing that began on February 7. This bill would require NH law enforcement, state officials, and all government entities within the state as well as all organizations receiving funds from this state to participate in robust enforcement of federal immigration laws. 1:00 PM SB 10, establishing the state minimum hourly rate based on whether an employer offers paid sick days to an employee. This bill would raise the minimum wage to $10/hour in 2020, and to $11/hour in 2022 for employers who offer paid sick leave, or $12/hour for employment without paid sick leave. 1:45 PM SB 100, relative to discrimination in employment based on criminal background checks. This prohibits employers from asking about criminal history on an employment application, and prohibits employers from conducting criminal background checks before an initial interview with a potential employee. **The above info was compiled with help from American Friends’ Service Committee’s weekly State House Watch email published by Arnie Alpert and Maggie Fogarty.